We are pleased to share the news that the Associates’ restoration project, Marble Base Carved by the V Century Prefect of Rome, was completed in August 2016! This piece was covered by a thick layer of greasy dirt and dust that considerably obscured the readability of the work. It was certain that after careful cleaning, the marble would recover part of its original splendor. Once the surface was cleaned, it was possible to check the status of conservation of the original marble surface. 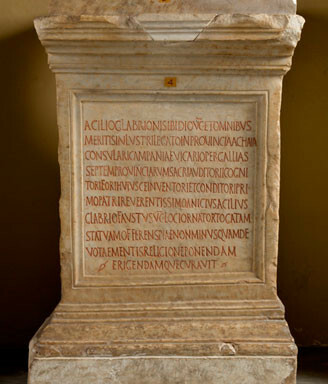 Read more about the marble base and it’s restoration needs.